Newman Dierst Hales, PLLC, brings together two partners who specialize in serving the tax, accounting, and planning needs of owner-operated businesses, individuals, and healthcare organizations and professionals. In 2006, Jandl, Dierst and Hales merged with Nolan A. Newman, PLLC, to form the new firm and add a healthcare tax and strategy consulting niche. Nolan A. Newman, CPA, has provided outstanding professional tax advice and financial guidance to businesses of all sizes and individuals since 1986. His broad expertise as a partner with Newman Dierst Hales ranges from tax risk management and compliance to planning, transaction analysis and strategy. Nolan is also a noted expert tax advisor for health care organizations, including hospitals, medical groups, healthcare systems, physicians, healthcare professionals and long term care facilities. In 2005 he founded Nolan A. Newman, PLLC, which evolved into Newman Dierst Hales in 2006. Nolan began his CPA career with Arthur Andersen in 1986 and advanced from a tax staff member in the firm's Cape Town, South Africa office to a tax partner in the Seattle office responsible for the entire Pacific Northwest healthcare tax practice. He worked with many of the largest health care organizations in Washington and Oregon. Prior to founding Nolan A. Newman, PLLC, Nolan spent three years as a tax principal for Clark Nuber PS in Bellevue, Wash. He specialized in owner-operated businesses, not-for-profits and healthcare organizations. 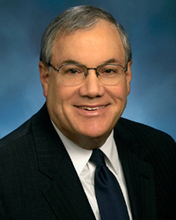 He worked with these clients in the areas of start-ups, choice of entity, mergers and acquisitions, joint ventures, restructures, succession planning, tax exemption, intermediate sanctions, executive compensation, productivity benchmarking, tax planning, resolution of Internal Revenue Service and state Department of Revenue controversies. In addition, he advised them on tax compliance (individuals, C Corporations, S Corporations, partnerships, LLCs, estates, trusts, tax exempts) and Board education in the areas of tax risk management and governance. Helping clients achieve their business objectives is one of the most enjoyable aspects of serving as a professional advisor, says Nolan. To me, professional excellence means providing outstanding technical advice that addresses the client's specific business opportunity or problem. Blending the knowledge and expertise gained from years of experience working in both large and small firm environments enables me to provide balanced professional advice. Nolan earned his Bachelor of Commerce in 1980 and Masters in Financial Accounting in 1981 from the University of Cape Town. He is a past board member and Treasurer of Provail, a Seattle non-profit organization supporting people with disabilities and Herzl-Ner Tamid Congregation on Mercer Island. 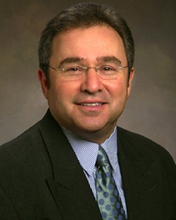 He is also a Trustee and member of the finance committee of Overlake Hospital Medical Center in Bellevue. He is a licensed CPA in Washington and California, and is a member of AICPA and WSCPA and a past member of the HFMA Washington/Alaska and the American Health Lawyers Association. Nolan lives with his family in Bellevue, Wash. and enjoys travel, golf, backpacking, theater, art and investing. Ann M. Imus has been a CPA since 1981, working in many specialties within the profession. She has a wide breadth of experience both in public and private businesses. Her public accounting experience includes responsibilities as a senior tax specialist with Touche Ross & Co. (currently Deloitte & Touche) in Honolulu, where she worked with large corporate and high net-worth individual clients. Her main expertise was in real estate and foreign taxation. She has also worked as an auditor with White, Sluyter and Co. in Corpus Christi, Texas, and for Peat Marwick Mitchell & Co. (currently KPMG), in Honolulu, conducting audits of banks and savings and loans. Ann also had her own CPA firm in Bellevue, Wash., for 13 years. The firm provided accounting, business consulting and tax services to small construction businesses and individuals. Prior to that, she worked as a corporate tax supervisor for New Vector Communications, Inc. (currently Verizon Wireless), where she was responsible for all federal, state and local tax planning, research and reporting for the rapidly growing cellular phone company. 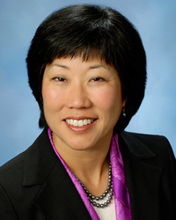 Prior to joining Newman Dierst Hales, Ann worked for the Bellevue School District as a senior budget analyst, preparing the district's $130 million annual budget and was responsible for advising and supporting federal grant administrators, principals and departmental administrators on all financial and budget matters. Ann is excited about returning to public accounting because she enjoys tax research and planning. She also enjoys "taking the bull by the horn," making the client's interests her own when determining how to maximize an opportunity or finding a resolution to a problem. "The complexities of the tax code are like a puzzle and I love puzzles. It's constantly changing, and I love the challenge of finding the best tax path for my clients to minimize their tax and keep them apprised of any pitfalls," Ann says. "My broad background with small and large clients; working in a big firm environment and at a small one gives me great perspective and an ability to serve our clients effectively." Ann graduated with a BA in accounting from the University of Oregon and a Masters of Taxation from Golden Gate University in Seattle. She takes an active role in her community, serving in leadership roles in her children's schools PTSA organizations, in her church, and at her community recreation club. She co-founded the Bellevue Blast Fastpitch Association, has volunteered as a fastpitch softball coach for 11 years and helped create Knights Athletic Booster Association, the umbrella booster club for Newport High School in Bellevue. She is a sports enthusiast who enjoys playing tennis and volleyball and hopes to figure out golf someday. Ann, her husband Mike and their three children reside in Bellevue, Wash.
David L. Dierst has been a CPA for 30 years, joining Jandl, Dierst and Hales in 1978. He has extensive experience working with owners of small- to medium-size closely held businesses and helps those businesses with succession planning. His experience includes both income and estate planning. David serves a diverse set of industries with companies of up to 100 employees. "I derive great satisfaction from knowing that I'm an integral part of helping my clients achieve the goals they have set to help them retire well, provide for their children?s education, successfully complete their family business succession plan and wealth transfer to their younger generation," he says. As a partner with Newman Dierst Hales, David specializes in individual, corporate, trust, partnership and estate tax law. He is a member of the Washington Society of CPAs. He received his Bachelor of Arts degree in Accounting from the University of Washington. He holds a designation as a Certified Specialist in Estate Planning from the National Institute for Excellence in Professional Education. In 1978 David joined Jandl, Dierst and Hales, which evolved into Newman Dierst Hales in 2006. Before joining Jandl, Dierst and Hales, David worked at the Safeway distribution center in Bellevue as grocery buying department manager. He enlisted in the Navy during the Vietnam war and served for two years. David is an avid fan of the University of Washington Huskies, enjoys golf, and has three grown daughters and six grandchildren. He is a past member of the Rotary Club of Seattle. He and his wife reside in Bellevue, Wash.